EIAST to showcase career prospects in space industry at Careers UAE 2014. [UAE, April 22, 2014]– The Emirates Institution for Advanced Science and Technology (EIAST), is participating at Careers UAE 2014, which will be held from April 22 to 24, 2014 at Dubai World Trade Centre. The exhibition offers Emirati engineering graduates suitable job opportunities related to space industry. The participation complements EIAST’s efforts to attract talented Emirati job seekers and enable them to contribute to UAE’s efforts to develop advanced technological innovations. EIAST also provides an opportunity to UAE Nationals to gain expertise in space industry by meeting with world’s top space technology leaders. EIAST Director General H.E. Yousuf Hamad Al Shaibani explained that the agency gives top priority to Emiratis who have potentials in making it to the country’s space program, which aims to promote UAE’s comprehensive technical and scientific development. He said Careers UAE 2014 is an ideal platform to directly communicate with graduates and engineers who are willing to join EIAST’s Khalifa Sat project. The project offers promising career and professional prospects aimed at shaping the future of the country. “We look forward to recruiting a group of graduates who want to work in Khalifa Sat project, which is of particular importance as it will be the first satellite to be 100 per cent built and manufactured by UAE Nationals. It is EIAST’s third major project,” said H.E. Al Shaibani. He added that EIAST is committed to investing in manpower training to boost Emirati skills and knowledge in developing and manufacturing advanced satellites. EIAST’s innovative projects are meant to promote UAE’s competitiveness in the regional and international levels. 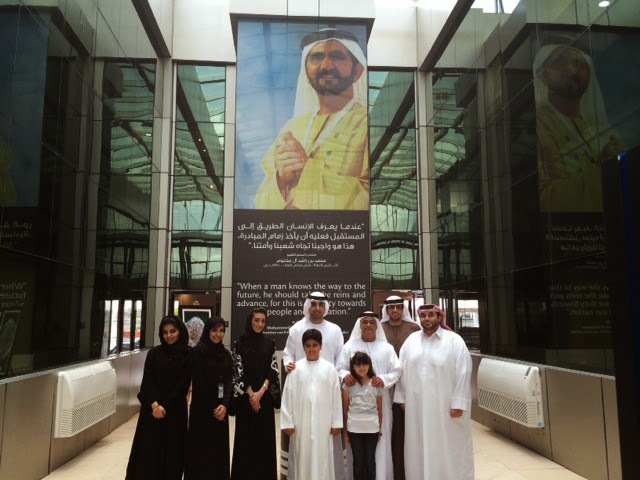 “We are keen on developing the competencies of UAE nationals working at EIAST. We provide world-class professional and career development programs, including a special program to cater to first and second year engineering students, and competitive work environment to encourage creativity and innovation among our nationals. These young minds and talents will drive future development and excellence. We provide ongoing support to those students to enable them to complete their higher education in the area of space technology within top universities in the world. This is poised to build a well-qualified generation of scientists and experts who are able to promote UAE’s pivotal position as a leading country in space research, scientific research, and technical innovation. All of these efforts are in line with the vision and directives of H.H. Sheikh Mohammed Bin Rashid Al Maktoum, Vice President and Prime Minister of the UAE and Ruler of Dubai,” Al Shaibani concluded. GETEX Spring 2014 concludes with flying colours, appreciation from exhibitors & visitors. The 26th edition of the Gulf Education and Training Exhibition (GETEX), which was inaugurated by H.H. Sheikh Nahyan Bin Mubarak Al Nahyan, UAE Minister of Culture, Youth and Community Development, successfully concluded recently, drawing around 31,000 visitors during its three-day run. The event welcomed several eminent guests and dignitaries, including H.E. Humaid Mohammed Al Qutami, UAE Minister of Education; Dr. Saeed Al Hassani, Undersecretary of the Ministry of Higher Education and Scientific Research; Dr. Abdulla Al Karam, Director-General and Chairman of the Board of Directors, Knowledge and Human Development Authority (KHDA); and H.E. Tan Sri Muhyiddin Bin Yassin, Malaysian Deputy Prime Minister and Minister of Education. Exhibitors at the show commended the importance of the event for the education and training sector of the region. They acknowledged the exhibition’s unique platform which allows education services providers to interact with prospective students, and their parents, from the UAE and the wider Middle Eastern region, and inform them about the latest trends within the global education sector. Moving forward, GETEX is scheduled to return in 2015 with an improved format, to offer both exhibitors and visitors even better marketing and promotional benefits. “GETEX 2014 is a great opportunity for us to promote our centre under the ‘Education Malaysia’ umbrella and in turn, raise awareness about Malaysia’s rich culture and its top grade education landscape to the rest of the world. Our main objective is to showcase our offerings to the myriad of Arab nationals living here and attract them to study in Malaysia, experiencing a new lifestyle and a great education program”, remarked Marliza Zorakin Malek, Managing Director, My Aspiration. “GETEX 2014 has been a very exciting and productive experience for us in helping us showcase our new campus, which is expected to be finished in 2015 and one that will be the largest education institute in the UAE. Throughout the show, we were able to establish contacts with candidates from different countries, such as China, Russia, Pakistan, Nigeria and Tanzania and give them the opportunity to register with our university for the next semester in September,” concluded Mariam Shaikh, Vice President, Student Recruitment & Admissions, Amity University Dubai. More than 350 educational institutions from India, Australia, USA, Canada, UK, Malaysia, Turkey, Lebanon, Ireland, and other parts of the world showcased over 2,500 academic, training and vocational courses to an approximate 31,000 visitors. The exhibition comprehensively focused on four key segments – General Education, Higher Education, Vocational & Occupational Training, and Professional Development, aligning comprehensively with the region’s booming education sector and the government’s ambitious plans for education reform in the UAE. DubaiSat-2 successfully completes in orbit commissioning. Satellite is now fully operational and images are calibrated and validated. [UAE, April 14, 2014] – The Emirates Institution for Advanced Science and Technology (EIAST) has announced that DubaiSat-2’s in orbit commissioning is complete and the satellite is now fully operational. The satellite had undergone the Launch and Early Operations Phase (LEOP) starting last November 21, 2013, this phase requires testing for the satellite to verify and validate the operation of the system and subsystem level electronics of the spacecraft and how they function under the harsh space environment. Once the satellite is in stable operation the next phase is calibration and validation of the telescope and sensors, these tests are the final steps before the satellite can be declared fully operational and they are dedicated to ensuring the quality of the data products derived from the satellite are at their highest in terms of quality and accuracy. H.E. Yousuf Al Shaibani, Director General, Emirates Institution for Advanced Science and Technology, said: “The successful conclusion of the commissioning and in orbit operation of DubaiSat-2 which is the final phase of the project has reaffirmed the UAE’s leading position on the regional aerospace map. All the efforts undertaken by the EIAST and its engineers are aligned with the visionary plans of H.H. Sheikh Mohammed Bin Rashid Al Maktoum, UAE Vice President and Prime Minister and Ruler of Dubai of making the UAE a satellite design and manufacturing hub for the region. “The calibration and validation activities were conducted to ensure that the images will be useful to our customers and that they are of the highest quality which is crucial for the success of the mission. DubaiSat-2 now being fully operational signals the start of our mission to provide useful and timely data to our customers from the government and private sectors, domestically and internationally and to benefit the nation,” concluded Salem Al Marri, Assistant Director General of Scientific and Technical Affairs, EIAST. DubaiSat-2 has also passed the tests conducted by the Japan Aerospace Exploration Agency (JAXA) recently in collaboration with the EIAST, on the satellite’s Propulsion System, in addition to the other examinations ordered to ensure its safety and readiness. In addition, EIAST has signed an agreement with Satrec Initiative for worldwide promotion and distribution of DubaiSat-2’s products and services to global customers. 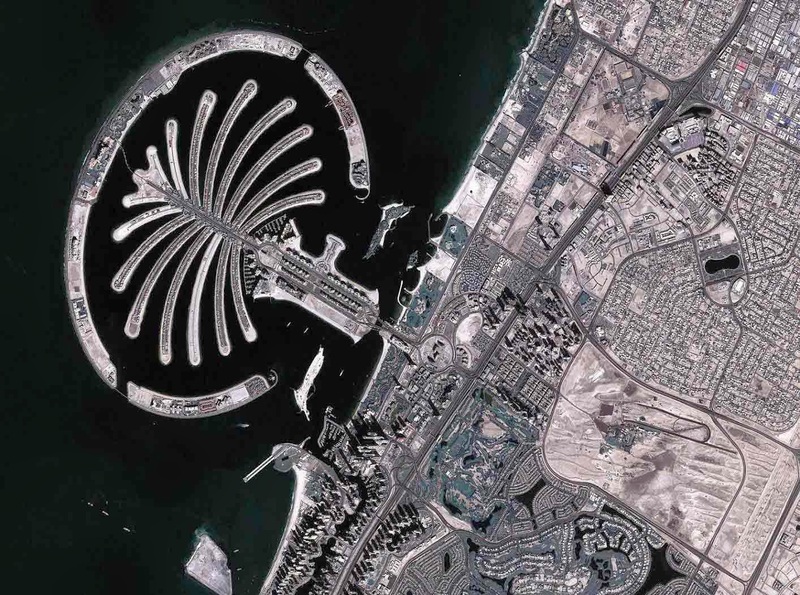 DubaiSat-2 is an electro-optical earth observation satellite launched with a purpose to provide high-resolution images of the world. DubaiSat-2 is capable of taking multiple images of the same area as well as adept in receiving and processing them from anywhere in the world within a day. The images taken from the satellite will be utilized for various purposes, including environmental projects, urban planning, and infrastructure development as well as providing specialized reports to Government stake holders. EIAST was established by the Dubai Government in 2006 with the goal of promoting a culture of advanced scientific research and technology innovation in Dubai and the UAE, and enhancing technology innovation and scientific skills among UAE Nationals. It is mainly involved in outer space research and development, satellite manufacturing and systems development, space imaging, and ground station services and support for other satellites. For more information about EIAST, please visit www.eiast.ae. 28 national pavilions to participate in the 16th WETEX 2014. Dubai, UAE, 28 March 2014: The 16th Water, Energy, Technology and Environment Exhibition (WETEX) 2014 has attracted participation from 40 counties including 28 national pavilions to date over an area of 1,490 sqm out of the total display area. WETEX 2014 is organised by Dubai Electricity and Water Authority (DEWA) with the theme ‘At the Forefront of Sustainability’ and under the umbrella of the Dubai Supreme Council of Energy as per the directives of His Highness Sheikh Mohammed bin Rashid Al Maktoum, Vice President and Prime Minister of the UAE and Ruler of Dubai, and under the patronage of HH Sheikh Hamdan bin Rashid Al Maktoum, Deputy Ruler of Dubai, Minister of Finance of the UAE and President of DEWA. The exhibition will take place from 14–16 April 2014 at Dubai International Convention and Exhibition Centre. In addition to the national pavilions, the exhibition has confirmed participation from prominent government organisations including DEWA and the Dubai Supreme Council of Energy, Abu Dhabi Water and Electricity Authority (ADWEA), Federal Electricity and Water Authority (FEWA), Sharjah Electricity and Water Authority (SEWA), the UAE Ministry of Environment and Water, the UAE Ministry of Energy, the Roads and Transport Authority (RTA), Dubai Municipality, Emirates Global Aluminium, Zayed International Prize for the Environment, Mohammed bin Rashid Establishment for SME Development, Drydocks World, Hamriyah Free Zone, Ajman Municipality & Planning Dept, Fujairah Municipality, Department of Planning and Development of the Ports, Customs and Free Zones of Dubai, Al Ain Municipality’s Department of Municipal Affairs, Friends of the Environment Society, Emirates Environmental Group (EEG), International Centre For Biosaline Agriculture, Emirates Science Club, Environmental Centre for Arab Towns, Environment and Protected Areas Authority, Abu Dhabi Sewerage Service Company, Dubai Police, UAE Society of Engineers and the Sheikh Zayed Housing Programme, and from the GCC, Qatar Electricity and Water Company. DEWA said that companies from countries such as the UAE, Qatar, UK, Italy, India, US, Spain, Germany, Taiwan, China, Malaysia, Russia, France, Belgium, Turkey, South Africa, Sweden, Finland Romania and Iran have confirmed their participation at the exhibition. More countries have also announced their participation, some of are taking place through joint pavilions like the Spanish-Austrian pavilion and others have a prominent presence at WETEX 2014 like Poland. WETEX 2014 registered remarkable participation from a total number of 40 countries to date, reflecting an increase of 20% compared to the previous year. “The initiatives led by DEWA have placed it among leading international institutions in the energy, water and electricity sectors which prioritise environmental sustainability. Moreover, DEWA has been able through WETEX over the last 16 years, to be a role model for specialised exhibitions in the region,” added Al Tayer. “WETEX’s success this year is not only dependant on the increase in the number of national pavilions but also in the rise of the display area of these pavilions to cope with the greater number of participants from these countries. We think that this type of growth is due to our positive international reputation, which in turn will generate additional participation in future shows,” said Al Tayer. Al Tayer said that national pavilions a attract larger flow of visitors, compared to companies which are participating individually, as many of the participating countries hold an excellent reputation in the electricity, water and environment sectors. WETEX 2013 registered participation from 22 national pavilions spread over an area of 1,047 sqm. WETEX 2014 will also include seminars to discuss topics relevant to electricity, water, solar and nuclear energy as well as energy, water, and natural resource conservation and sustainable development and other topics that are currently in the spotlight, of the public and private sectors around the world. EIAST receives Adeeb Al Balushi and showcases latest projects and achievements. [UAE, April 1, 2014]– The young Emirati inventor Adeeb Suleiman Al Balushi, recently visited the Emirates Institution for Advanced Science and Technology (EIAST) where he met a group of engineers and was elaborately introduced to the institute’s projects including DubaiSat-1, DubaiSat-2 and Khalifa Sat – the first satellite to be fully built and manufactured at the hands of 100% UAE engineers. This move follows the directives of H.H. Sheikh Hamdan Bin Mohammed Bin Rashid Al Maktoum, Crown Prince of Dubai, appointing EIAST to supervise the child’s scientific trip. Known as the young Emirati inventor, Al Balushi toured around the institute and learned about the functioning of the ground station which is responsible for monitoring and operating the two satellites, DubaiSat-1 and DubaiSat-2. The wonder boy reaffirmed his commitment to continue to gain best scientific knowledge and technical expertise in order to help achieve better progress in the UAE. He further expressed his delight to have visited EIAST whose ongoing scientific achievements primarily aim to serve the community by creating a leading specialized facility that is able to position the country as a regional and global leader in space industry and improve its footprint in this vital area which helps shape the future. H.H. Sheikh Hamdan Bin Mohammed Bin Rashid Al Maktoum has ordered to organize a scientific trip for Adeeb Al Balushi across seven of the most advanced and developed countries in the area of science and research. His Highness also assigned EIAST to follow up and evaluate his progress on a regular basis in order to ensure that Al Balushi makes best of this trip. The 10 year old Al Balushi is the youngest Arab scientist and among the youngest investors in the world. His first invention was a waterproof prosthetic limb to help his polio-affected father practice swimming and diving. Today, he holds 7 scientific patents and has been awarded many local, Arab and international certificates of appreciation and membership. EIAST was established by the Dubai Government in 2006 with the goal of promoting a culture of advanced scientific research and technology innovation in Dubai and the UAE, and enhancing technology innovation and scientific skills among UAE Nationals. It is mainly involved in outer space research and development; satellite manufacturing and systems development; space imaging; and ground station services and support for other satellites. 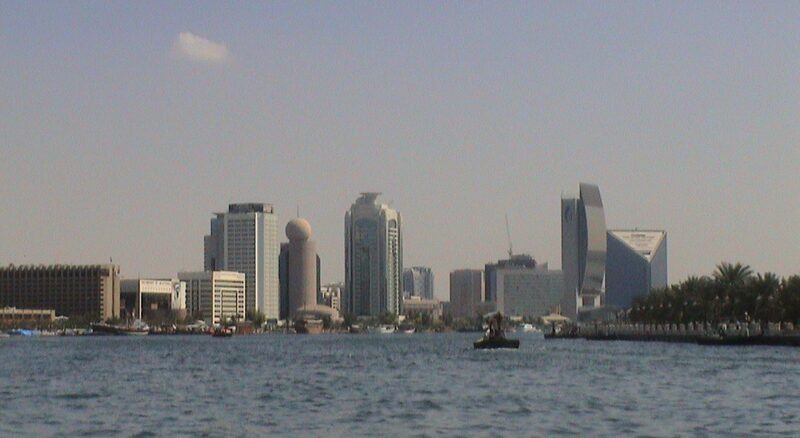 For more information about EIAST, please visit www.eiast.ae.